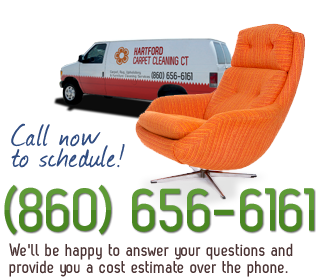 Carpet Cleaning Hartford is the best licensed and insured cleaning service provider in the area. Our team of cleaning experts provides a wide range of cleaning services for residential, commercial and industrial environments. Our main services include: carpet steam cleaning, upholstery cleaning, rug cleaning and more. For a better cleaning service call Hartford Carpet Cleaning and you won't be disappointed. A lot of people believe that having their carpet professionally cleaned can damage it. On the contrary, dirt and other debris get stuck deep down within your carpet and actually break down the fibers. This shortens the lifespan of your carpet, and leads to worn, ragged looking carpet. Effective carpet steam cleaning will keep your carpets as beautiful as it should be. That is why we at Carpet Cleaning Hartford recommend using our steam cleaning service on a regular basis. Hartford upholstery cleaning services will remove the dirt, oil and other soils that your furniture absorbs during every-day use. Our trained staff differentiates the expensive fabrics from the common microfibers and uses various different materials accordingly. Routine upholstery cleaning will preserve the look of your furniture and Hartford upholstery cleaning is the right choice for you. Carpet Cleaning Hartford knows that Oriental and Persian rugs can be very expensive. We want to take a good care of your possessions. Our professional cleaners will first evaluate the rug you desire to be cleaned and perform an initial dirt removal. Then, they will employ a cleaning solution with the proper pH balance for that material. Finally, they will restore the rug's pH level to its original state, neutralizing the cleaning chemical. If necessary, we perform an addition hand wash cleaning to preserve your precious rugs. While cleaning your carpets, we at Carpet Cleaning Hartford focus on stains and odors such as pet, ink, caffeine and other stains. Our carpet stain removal products are highly effective, cleaning all various types of carpets. We offer upholstery cleaning, carpet dry cleaning, hot water extraction steam cleaning, carpet and upholstery deep cleaning - providing green cleaning solutions with the use of environmentally-friendly shampoo, bonnet/pad cleaning, foams and other nontoxic carpet cleaning products. If you are concerned about the health care of your family and the effect of cleaning products has on the state of your home, you can rest assured in hiring Carpet Cleaning Hartford. A professional carpet cleaning regimen is extremely beneficial to your health, as it rids a major portion of your home allergens invisible to the eye: Dust and dust mites, pollen, dirt, debris, pet dander and pet hair, all get lodged into your carpet and contaminate the air you are breathing. Our vents cleaning and complete HVAC & air duct cleaning will get rid of those harmful allergens from the air you and your beloved ones breathe. The powerful cleaning machines that Carpet Cleaning Hartford employs eliminate these allergens. In addition to your carpets, we will clean your upholstered furniture and drapes, which also collect the same allergens, but are often overlooked when cleaning. In addition, all of our cleaning products are self-neutralizing, bio-degradable and non-toxic chemicals. We are proud to assure you that our cleaning products are pet, people and child safe. Hartford Carpet Cleaning will tailor our services to meet the scale job you require. We will perform upholstery cleaning on one piece of furniture, or do a top-to-bottom cleaning of your entire home, including air duct cleaning, drapes and curtains, upholstered furniture, bathtub ceramic tiles and grouts and all of the flooring. We aim to surpass our customers' expectations and we are sure you will be pleased with our work. 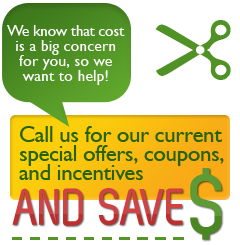 Call (860) 656-6161 for a free estimate. Satisfaction guarantee with the best carpet cleaning services in Hartford! Our truck mounted equipped technicians covers Hartford, CT 06106 | 06103 | 06105 | 06112 | 06114 | 06120 and its entire metro area. Our cleaning services are given also to the following neighborhoods: Central Business District/Downtown Hartford, Parkville, Frog Hollow, Asylum Hill, West End, Sheldon/Charter Oak, Clay-Arsenal and Upper Albany, South End, South Green, Barry Square, South Meadows, Southwest and Behind the Rocks, North Meadows, Blue Hills and Northeast/North End neighborhood.